The third Circular Change Conference is a two-day interactive stream of indoor and outdoor events. Get inspired by real circular stories of the most visionary personalities, the real driving forces ofthe circular transformation. Discover creative circular projects. Engage with creators of national circular economy roadmaps. Extend your circular network and scale up your circular business. 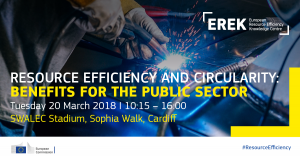 This full day conference and workshop will look at approaches to materials resource efficiency and circular economy in construction and development. sEaNERGIA Baltic Cluster invites you to an international conference “Circular Economy – a global challenge for construction industry. 2nd ECCA Conference”, which will be held on 5 December 2017 in Baltic Plaza hotel **** mediSPA & fit at Plażowa 1 street in Kołobrzeg, Poland. The forum aims to clarify how circular economy solutions can contribute to the Sustainable Development Goals by generating growth and jobs in different parts of the world. The World Circular Economy Forum 2017 (WCE Forum 2017) will be take place on 5 and 6 June 2017 in Helsinki, Finland. It will bring together the world’s leaders, top experts, entrepreneurs, financiers and civil society to share their ideas and to find common visions towards the transition to a global circular economy. At the conference we will explore the systemic approach by tapping into circular economy platforms at local, urban, regional and international levels. Resource efficiency is an imperative. Circular economy modelling is driving this forward. Circular economy thinking is holistic. New solutions and good ideas are arising from sharing and collaboration. We look at how to save and make money through reducing waste, recycling, recovery and repair, plus closing the loop with smarter design and manufacturing. Tailor-made conference and learning programmes will discuss solutions to specific problems and develop macro strategy to capitalise on new commercial opportunities as we help businesses take steps towards resource efficiency and the circular economy. The delegation takes place on the occasion of the 1st China International Circular Economy Exhibition and will be led by Mr Daniel Calleja, the European Commission’s Director-General for Environment. If you’d like to participate, please register in advance. Participation is free of charge; travel arrangements and accommodation costs are under the responsibility of each participant. We kindly remind you that the online registration for the ECTP Conference organised at the Centre for Fine Arts (23 Rue Ravenstein, 1000 Brussels) on 17-18 November 2016 is open. ECCA project and circular economy will be presented in Materials section. The 7th ECTP open conference will take place in Brussels on 17-18 November. This event will be dedicated to present and discuss current and anticipated innovation in the built environment field. Plenary sessions with high-level speakers from academia, industry and the European Commission will introduce the global scheme and visions from various stakeholders. Meanwhile, thematic parallel sessions will address diverse specific issues under the five current challenges of the ECTP. A hall for booths will exhibit examples of innovation. In order to benefit from early-birds fees, you should register and achieve the registration payment before September 22. Moreover, should you wish to take part in the Exhibition of Booths, please send your proposal ASAP to conference@ectp.org, using the booth application form, since space is limited. Do not hesitate to disseminate the Conference Flyer and the ECTP Conference Website around you. Please contact the Conference Secretariat for any additional information you may require. The Disruptive Innovation Festival is an online, open access event that explores the question: The economy is changing — what do I need to know, experience and do? The DIF enables participators from a global network to share, discover and learn from some of the world’s brightest start-ups, innovators, entrepreneurs, businesses, designers and makers, exploring the economy through a different lens. Last year 20,000 participants from 181 countries registered to attend over 270 sessions, and 2016 is already shaping up to be bigger and better. In 2016 the DIF will take place from the 7th-25th of November held across six virtual stages; coordinated and accessible at thinkdif.co. All the information on the DIF including topic ideas, 2016 theme descriptions and examples of previous sessions can be found at the website. 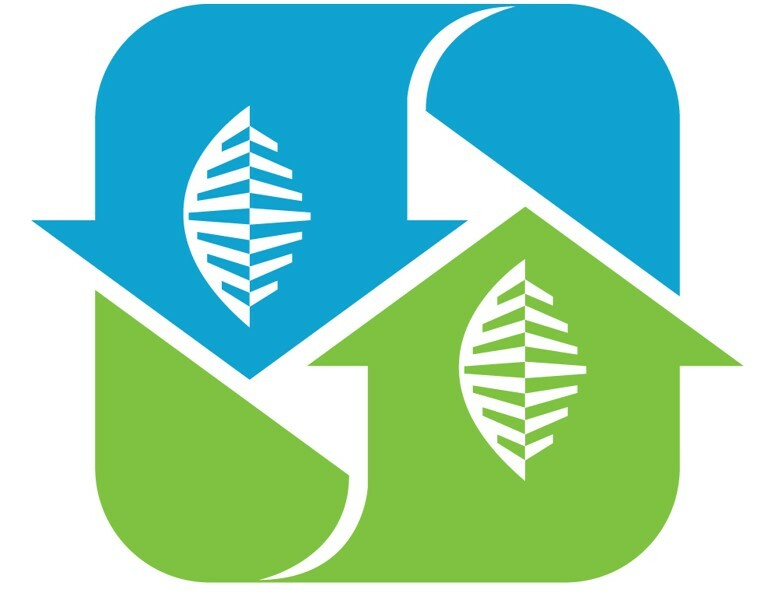 The Congress of Innovation on Sustainable Construction (CINCOS’16) is an event organized for the Sustainable Habitat Cluster in Portugal. This international event aims to promote synergies by gathering companies, municipalities, clusters, R&D units and other agents with a particular interest in the Built Environment Sustainability as a driving force for Innovationand Competitiveness. The 5th edition of this Congress (CINCOS’16) will take place in Lisbon (Portugal) from the 3rd to the 4th of November 2016 and its main theme is “NEW CHALLENGES FOR THE HABITAT VALUE CHAIN”. Submission of revised manuscripts – until 30/09/2016. This conference will address different topic as the Critical Raw Materials strategy in the European Union and the importance of innovation in Circular Economy and count on important high level local and international speakers contributions such as the EU Committee of the Regions, the European Commission-DG of Internal Market, Industry, Entrepreneurship and SMEs and the European Association of Regional Development Agencies (EURADA), among others. In this event, the global regional strategy for Critical Raw Materials at EU level is going to be discussed by relevant authorities, at time that a working group interlinking authorities and technologists will be created to develop regional roadmaps in synergy and communicate to EU Commission. ICCRAM “International Research Center in Critical Raw Materials for Advanced Industrial Technologies” is organizing in collaboration with the Regional Council of Lapland, the European Regions Research and Innovation Network (ERRIN) and Agency of Innovation, Business Financing and Internationalization of Castilla y León (ADE), the high level conference “European Regions in the Critical Raw Materials strategy and the Circular Economy Policy” that will be celebrated in Burgos on 27th October 2016. For more information on the event please visit the official website. Participate in the conference and explore current results and reliable forecasts for the construction industry! The conference organized by ASM – Market Research and Analysis Centre is one of the most important and biggest events of the construction industry in Poland, which every year brings together over 150 people from the industry. It will take place on 27 October 2016 in Hotel LORD, Krakowska St. 218, Warsaw. During the conference European Circular Construction Alliance will be presented and participants will have the opportunity to discuss the current trends related to circular construction as well as join the Alliance. The conference will be also accompanied by poster session during which projects implemented under the Horizon 2020 or earlier Framework programmes will be presented. Should you be interested in promoting your project, please register and mention in the registration form in the “Comments” box: Poster Session – H2020/7FP – (project acronym). The transition to a new, circular and sustainable way of doing business needs to happen on the ground. Eco-innovative entrepreneurs know that environmental protection makes business sense and understand how being innovative today will help them grow sustainably in the long term. Turning environmental challenges into business opportunities will help deliver a resource-efficient, green and competitive low-carbon EU economy. The 25 and 26 October in the Congress Hall Fairground of Gijón, the IV European Forum Interclústers Construction. During the event, the Cluster ICA (Construction Innovation Asturiana), in collaboration with ASTUREX coinciding with the CONSTRUCTION SECTOR FORUM ASTURIAS, held this meeting Clústers Construction in order to analyze the current industry and its future prospects. For more information on the event please visit the website. Socially balanced economic development and employment creation in the BBS region. Enabling business environment for SME based on collaboration between public, academia, financial organizations, media and business community. Establishment of the public-private dialogue for advocating for the needs of SMEs. Exchange of knowledge and experiences in the cluster based economic development in developed countries, countries in transition and developing countries. Efficient approach to EU and other development funds. This FREE to attend event is taking place during the International Festival for Business 2016 (IFB2016). IFB2016 is a global marketplace for creating connections and doing deals. It brings together thousands of businesses from around the world for three weeks of events, networking and deal-making. Registration is possible until 15th June. More information and registration here. The Ministry of Environment, Waters and Forests and the Romania Green Building Council are honored to invite you to a workshop as part of the BUILD UPON project facilitated by our invited speaker Steven Beckers; a Cradle to Cradle™ accredited architect and expert in circular economy for the building sector. Circular Economy is the new economic model designed to preserve ressources while allowing for a safe and measured development of our human activities. Cradle to Cradle is the engine behind that which looks at positive impact and value propositions from the molecular scale to land development. This workshop aims at defining what positive impact can be created from what we know and inherited as well as from the innovative technologies it promotes. There is no cost to attend but seats are limited. To request to join, please send an email to Monica.Ardeleanu@RoGBC.org. All participants must receive a confirmation that space is available. This workshop was for business representatives who are engaged in, or will engage in, circular economy projects or business models. The first part offered the chance to get a better understanding of the available instruments and tools for access to finance. In the second part, the main legal barriers for investment and innovation were discussed. Tailor-made conference and learning programmes discussed solutions to specific problems and develop macro strategy to capitalise on new commercial opportunities as we help businesses take steps towards resource efficiency and the circular economy.